Once the five year IVA (Individual Voluntary Arrangement) has ended it may be tempting to try to obtain credit. It is possible to obtain credit after an IVA but going back down the debt route will have drawbacks. Once the five year IVA period has ended the debtor will now basically be debt free. This does not mean they will now have a spotless credit record. The IVA will still stand on a credit record for 12 months. Lenders will use an applicant’s credit record when making a decision to grant credit. The fact that there is an IVA notification may not mean the lender will not supply credit. But it is likely that any credit given will be of a low level and will usually come with high interest charges. There may be valid reasons for borrowing such as improving a credit score for future loans such as a mortgage. There are alternatives to borrowing from the high interest lenders that will still help improve a credit record. These can include loans from credit unions who will supply small loan amounts with long repayment terms. There are of course credit cards designed for those with poor credit records. These can be useful if the credit given can be repaid before the interest free period kicks in. The temptation to apply for credit after an IVA has ended may be strong but should be avoided. Once the IVA has ended this should be seen as a fresh start. This is a chance to live life without debt, and this isn’t as difficult as it sounds. 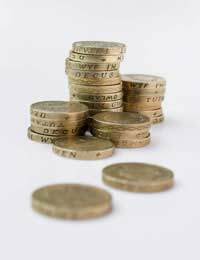 During the five year IVA process the debtor will no doubt have learned to live more modestly. In most cases this modest lifestyle is considered normal by people who live without a great deal of debt. Throughout the five year IVA process the debtor will have been learning valuable financial lessons. These will include learning to live without credit and how to budget money. These are skills that should, after five years, now be second nature. Do not see the end of an IVA as the time to start being less careful with money. Being debt free means no more monthly statements from lenders or phone calls from debt collectors. Do not be tempted to go back and relive those debt laden years. A financial budget will be useful and the Insolvency Practitioner will no doubt have arranged a budget or plan for the debtor. Since the IVA has ended the budget will need to be updated; money will no longer have to be paid to creditors. A budget can also be useful for gauging long term financial goals and purchases. Seeing savings grow on a budget sheet without debt payments showing as a minus is definite incentive to stay debt free. The end of a successful IVA should be seen as an achievement. The individual is now debt free and if they wish can stay debt free for the rest of their life. Release some of the tension by celebrating this goal. The five years of struggle by the debtor can now be put behind them. Being debt free after an IVA is a fresh start and many people have claimed that an IVA ending is like regaining control of their lives. There are not many people who can claim to be debt free, for some, achieving this status will never occur. Staying debt free means saying no to the high interest lenders and becoming financially smarter where credit is concerned. A debt free life is hard to obtain but the choice of remaining debt free or to returning to the lenders should be easy decision to make.